Does widening the stance really help distance or is there more to it than that? I’ve seen people hit powerfully from both narrow and wide golf swing stances. I think it’s a matter of personal preference and what you find works for you such that you can both generate the maximum amount of controlled club head speed and also make consistent sweet spot contact. So there’s an acceptable range…but like with many things in life, an extreme of either probably won’t work as well. Too narrow and balance is compromised…too wide and it’s hard to pivot and/or turn. Experiment around and find your comfortable spot. Count Yogi had an interesting take on how to determine stance width – working backwards from the finish. It’s what I do. Notice how towards my finish both of my knees are even with my hips. I feel really balanced in this position (and balance is good because it can help you hit more consistently in the center of the club face). My right foot is only back far enough such that the knees are even. If my right foot was back further, I would feel too stretched out. 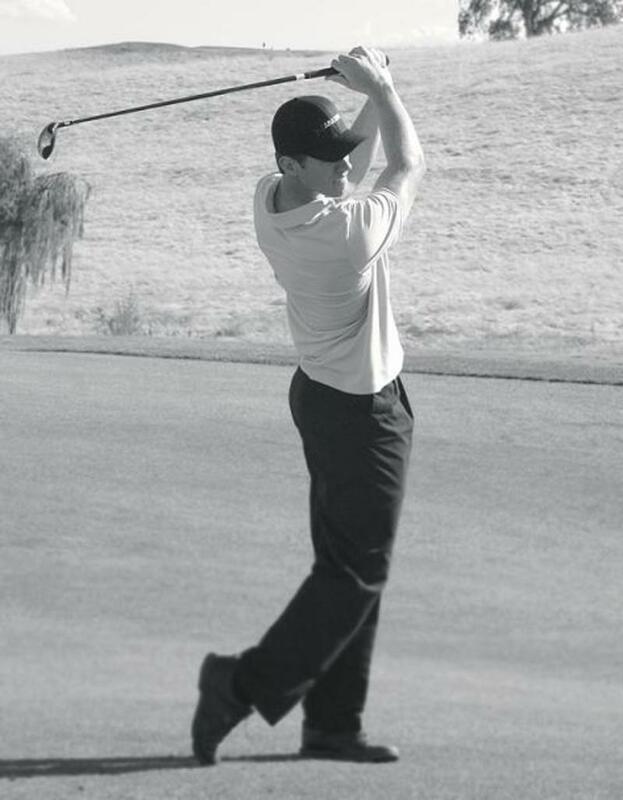 To determine the stance width, just turn back towards the setup position and bring the right foot down. Wherever it ends up is where to make the stance.